Not one race circuit is less prone to crashes than the other, but I don’t know, I just thought that given how infrequent I rode Laguna Seca, that my chances of having a tumble there were slimmer than, say, Sonoma Raceway or Thunderhill Raceway. 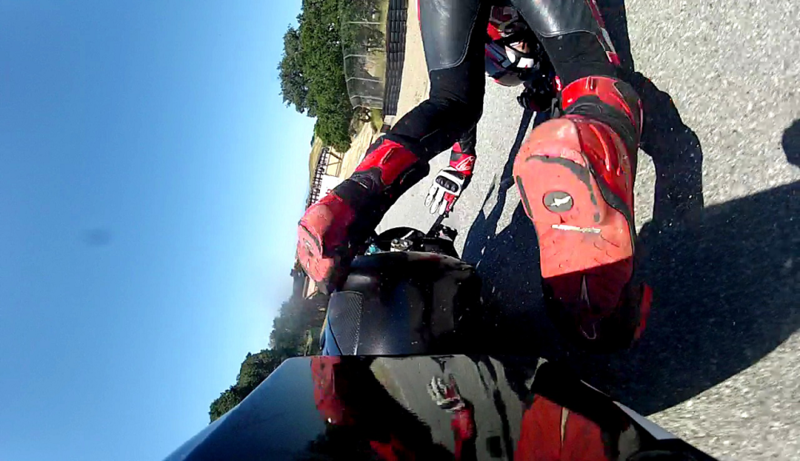 Just statistically speaking, I figured it’d be a while – if ever – until I would finally crash at Laguna Seca. But wouldn’t you know it, on that faithful day in late April 2017, it happened. And of all places, at the infamous Corkscrew. I crash where it matters most! I joined some friends to be a customer for the day, as I am wont to do at least once a year. I enjoy being a customer from time to time, having proper down time in between riding sessions. Being more relaxed in between sessions as a customer contributes to my speed out on track, and that day was no different. Each lap I went out I felt better and better on the bike, and I could feel my pace picking up faster and faster. But I hadn’t been running a timer off any sort, not even my GoPro. When I finally mounted my GoPro and ran it later in the day, I felt like I was turning in the fastest laps I’d ever had around Laguna. Turns 8 and 8A compose the world-famous Corkscrew at Laguna Seca. You enter the left-handed Turn 8 at the highest point of the circuit, before quickly switching over to the right-handed Turn 8A while the track itself drops 59 feet within 450 feet in between the two successive corners, an equivalent of a 5 ½ story drop. It certainly looks more daunting from trackside than going through the Corkscrew, but it can be challenging. Your entry into T8 will determine how you go through 8A. This time out, I had entered wide into T8, and so as I tried to keep up my pace rather than scrubbing off the speed before going through T8A, I decided to ride the bike over the inside curbing of 8A. it’s nothing unusual, having done it many times prior. I simply let the bike ride through the rumble strips and wait to turn the bike right once the front wheel settles back on the smooth tarmac to finish the corner. Except this time out I didn’t do just that, instead I started to lean the bike to the right as I was still over the rumble strips. Introducing lean angle on an unsettled front end? Yeah, bit of a sure-fire recipe for disaster. The front end folded on me, sending the bike and I on the deck, sliding across the racetrack. The worst part is my bike catching on to the dirt in the runoff, flipping the bike over. With our speed and the downhill momentum, the bike flipped more than one. By the time I got the bike recovered back to my pits, I was sure I had finally run it to the ground. 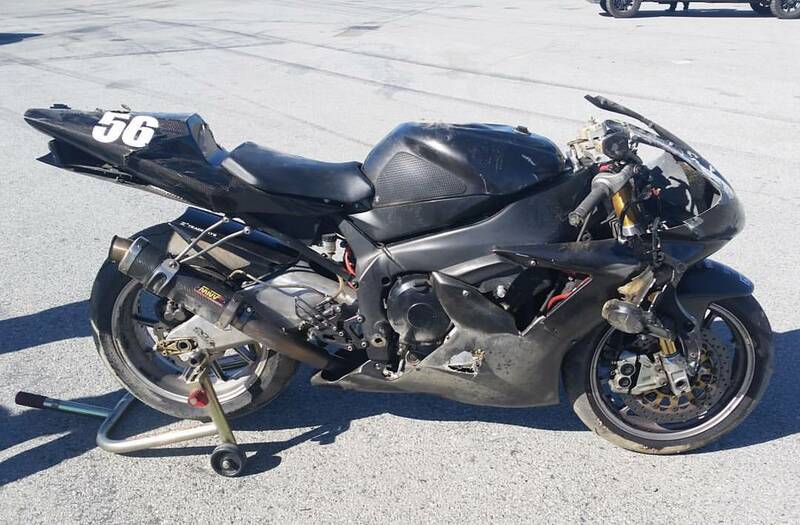 So it was to my surprise when my friend and mechanic Rob called me not long after I dropped off the bike to him, to tell me that not only was the bike still straight, but the cost of the hard parts for me to replace would be less than $400. 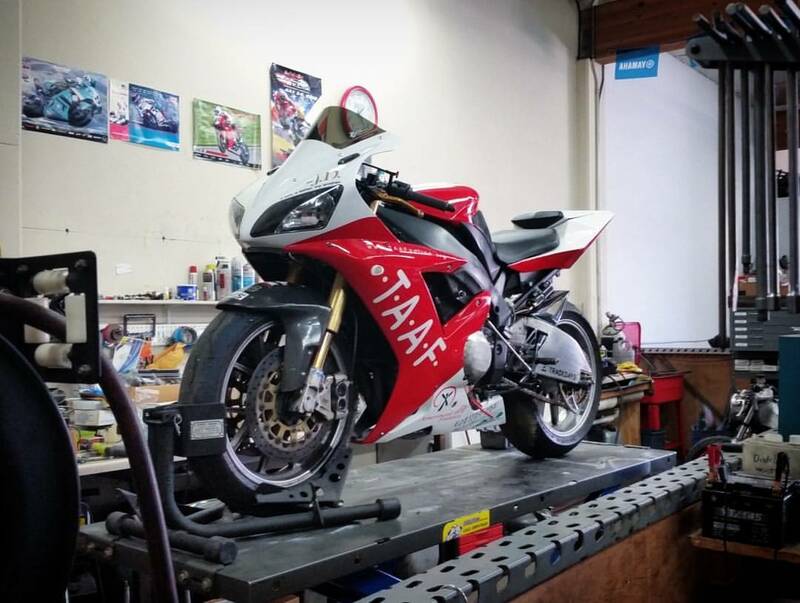 Except for the subframe, the frame itself and both the front and rear ends had no tweaks, despite the bike tumbling side over side multiple times. I thought that maybe as it tumbled, the bike only hit the ground when it was either straight up or upside down, as evidenced by the topside dented fuel tank. So I gave him the go ahead to order the parts needed to be replaced, whether used or new, as I reset myself from thinking I finally had to retire my 02 R1. It helped that I still had the street bodywork and fuel tank for the bike as well, as I was able to just throw those back on the bike after all the other parts were replaced. I didn’t think I’d put these colors back to use ever again. Fast forward to a year after that fateful crash, I knew I couldn’t let that be the last thing I did at Laguna Seca, given how infrequent I visited the circuit. So almost like an exact reenactment of that trackday twelve months prior, I again joined some friends to be a customer for a day in May of 2018. Even the weather was just as gorgeous as it was a year prior. 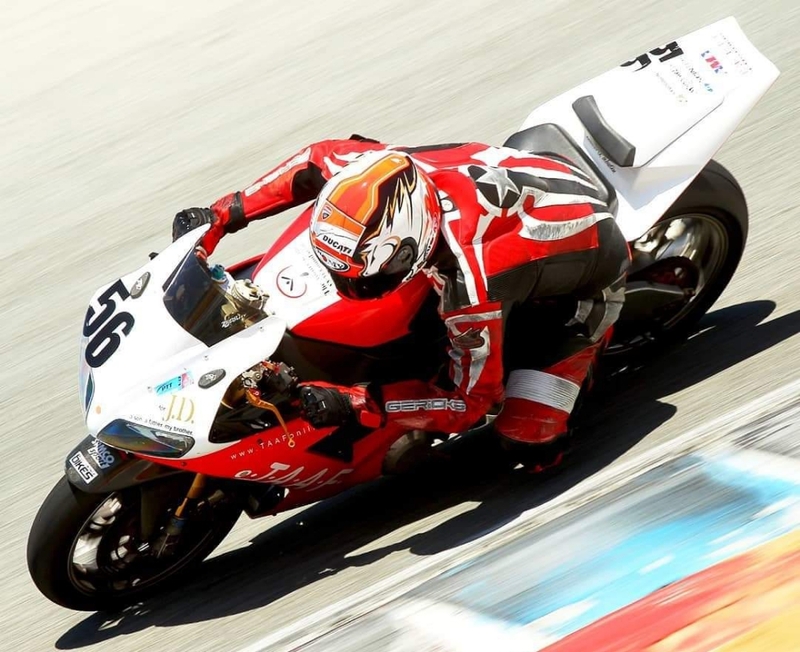 Same trackday provider, and I even donned the same number decals on my bike (a requirement at Laguna Seca) as I did the year prior. With the exception of the bodywork and colors on my 02 R1, I was doing all I could to go back in time and force a different outcome. But I’ll admit there was some apprehension in me. I had already shaken off my previous crash at this circuit, but you never really completely shake off a crash so easily. It was in the back of my mind the whole time, in the days leading up to the trackday, right up hopping on my bike for the day’s first session. So I’ll admit, my game plan was to run the circuit the whole day and bring it home in one piece, over-writing the last memory I wrote here. So no, I didn’t even think I could set a new personal best. But I did, and what a glorious feeling it was to not only come back and survive the circuit better than I did previously, but to actually come out on top. It would’ve been enough to score even with Laguna Seca, but I somehow managed not only best the track itself, but also best myself. As far as redemptions go, you couldn’t ask for anything better. Suffice it to say, things are all good between me and the circuit again. Track life is good again.